iFlightPlanner’s freely accessible aviation charts interface is the perfect resource for UAS operators to pinpoint lat/lon coordinates, identify the nearest airport, view airspace details, and prepare their description of the proposed operation when requesting a waiver and/or airspace authorization under Title 14 CFR Part 107 of the Federal Aviation Regulations (FAR). We have created iFlightPlanner for UAS Operations (PDF) to help bridge the gap between the features of iFlightPlanner currently designed for manned flight and how they can be leveraged by unmanned operators. The tutorial is a step-by-step guide to gathering the information necessary to submit a waiver or authorization through the FAA DroneZone. It's important for all operators to review the Step-by-Step Application Process, Waiver Application Instructions, and Waiver Safety Explanation Guidelines as published by the Federal Aviation Administration (FAA) before any operations. 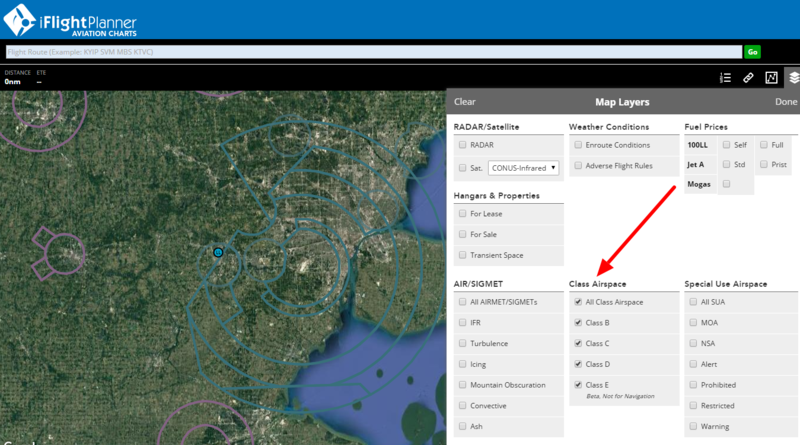 If you have questions specific to planning your UAS operations with iFlightPlanner that were not covered in the tutorial, please send us a message!